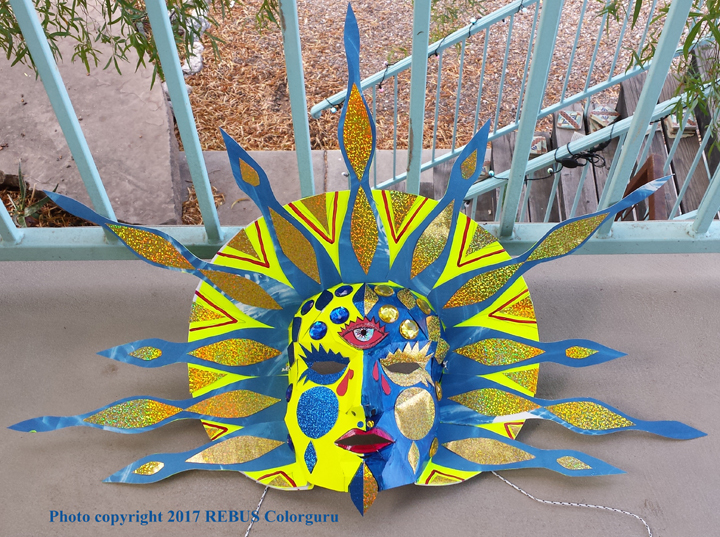 I usually give a teaser about what I am doing for the All Souls Procession, but this year, I became so busy, I had to wait until after. 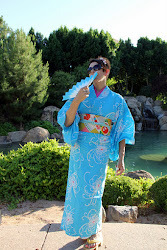 But at least there are some nice photos. 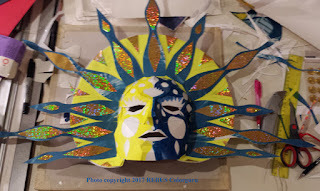 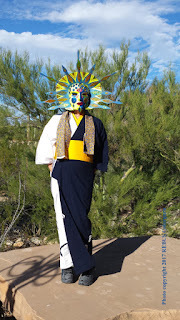 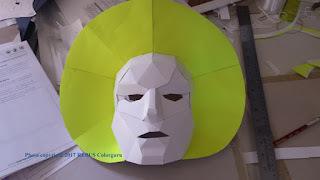 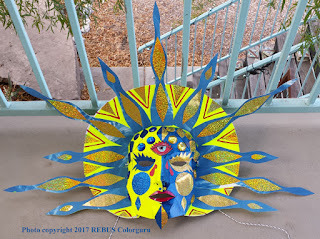 This year, I made another mask from a kit by Wintercroft; I customized a mask to represent Amaterasu Omikami, the Shinto sun goddess. 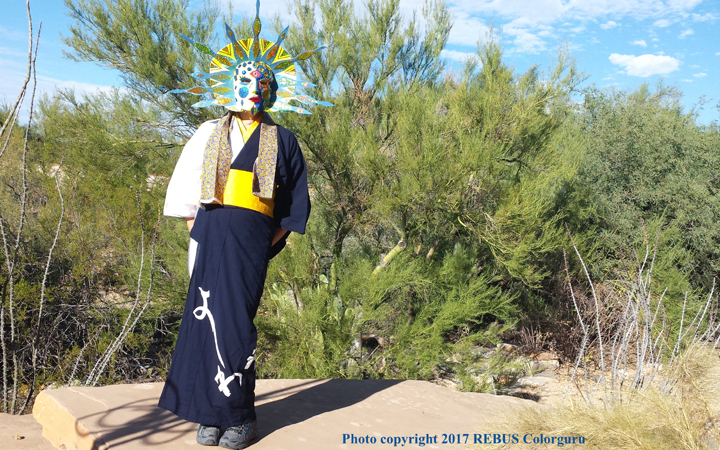 The theme this year was related to alchemy, the marriage of the sun and moon. 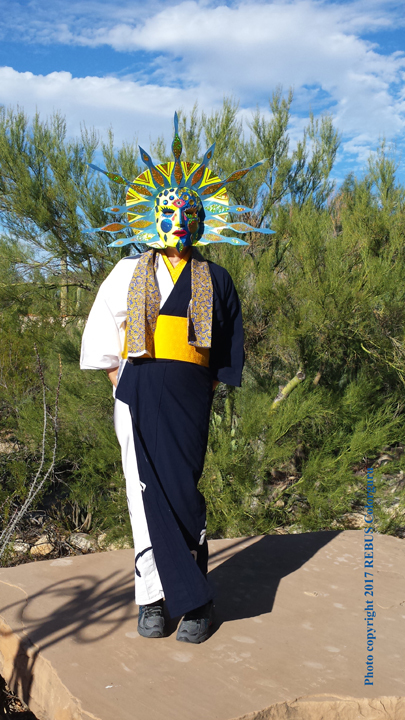 I wore my indigo and white odori yukata with a yellow han eri and yellow obi. Let me know what you think. Did Someone Say "It's Almost Black Friday"?